Emmanuel Comte is a historian of European Integration and of migration policies and regimes in Europe since 1945. 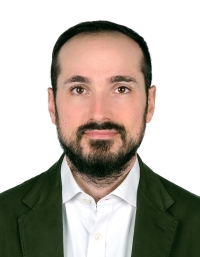 He holds a Ph.D. in history from Sorbonne University and is a research fellow in international history at the Vienna School of International Studies. His recent book, The History of the European Migration Regime: Germany's Strategic Hegemony (Routledge, 2018), explores the origins of the international migration regime that has prevailed within the European Union since the 1990s. With the free movement of people, European citizenship, and the Schengen agreements, the European migration regime has been in the global governance of migration a peculiar case, characterized by a high degree of internal openness. Today, migration has become one of the most contentious issues within the Union, generating interrogations on the nature of European Integration. On the basis of detailed archival enquiry, this book explains the internal openness of the European migration regime through the hegemonic role played by Germany. The German economy has stabilized migration flows in Europe during most decades in the past half century. By doing so, it has served to secure the rules of internal free movement within the Union, championed—as the book recounts—by the German government since the 1950s to promote its regional interests. Other themes he has explored in scientific articles include the interdependence created in the Mediterranean since the 1980s by international migration flows (Journal of European Integration History, 2015); the turning point of 1955 in the formation of the European migration regime (Relations Internationales, 2016); and xenophobia among French sailors in the 1970s (Le Mouvement social, 2018).